What does history tell us about the 2020 presidential election? Not as much as we’d like to know. We’re an old republic and our two political parties are the oldest and third oldest in the world. But we’ve only had a limited number of presidential elections. Three were uncontested (1789, 1792, 1820), and six more were conducted under rules significantly different from our current system (legislatures selecting presidential electors, for example). That leaves just 49 elections, and when I was in the polling business, we wouldn’t show any results for subgroups of less than 50 because of the huge statistical margin of error. Cohn is the same writer who, in June 2016, argued that non-college-graduate whites were a larger share of the 2012 electorate than indicated in exit polls and other surveys. That analysis and the extensive interviews by current Washington Examiner columnist Salena Zito, more than any other journalism I can recall, presaged Donald Trump’s surprise victory that November. Which could mean the first second-ballot convention since 1952, at which point the Party’s 765 superdelegates – elected and party officials — get votes and presumably will choose the nominee, if they haven’t already done so behind the scene. Of course, there won’t be any protests or sharp words. Er, just kidding. 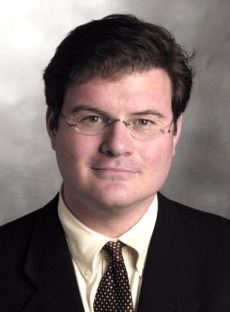 Editor’s note: Michael Barone is a senior political analyst for the Washington Examiner, resident fellow at the American Enterprise Institute and longtime co-author of The Almanac of American Politics.